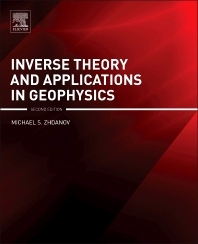 Geophysical Inverse Theory and Applications, Second Edition, brings together fundamental results developed by the Russian mathematical school in regularization theory and combines them with the related research in geophysical inversion carried out in the West. It presents a detailed exposition of the methods of regularized solution of inverse problems based on the ideas of Tikhonov regularization, and shows the different forms of their applications in both linear and nonlinear methods of geophysical inversion. It’s the first book of its kind to treat many kinds of inversion and imaging techniques in a unified mathematical manner. The book is divided in five parts covering the foundations of the inversion theory and its applications to the solution of different geophysical inverse problems, including potential field, electromagnetic, and seismic methods. Unique in its focus on providing a link between the methods used in gravity, electromagnetic, and seismic imaging and inversion, it represents an exhaustive treatise on inversion theory. Written by one of the world’s foremost experts, this work is widely recognized as the ultimate researcher’s reference on geophysical inverse theory and its practical scientific applications. Presents state-of-the-art geophysical inverse theory developed in modern mathematical terminology—the first to treat many kinds of inversion and imaging techniques in a unified mathematical way. Provides a critical link between the methods used in gravity, electromagnetic, and seismic imaging and inversion, and represents an exhaustive treatise on geophysical inversion theory. Features more than 300 illustrations, figures, charts and graphs to underscore key concepts. Reflects the latest developments in inversion theory and applications and captures the most significant changes in the field over the past decade. Researchers working in all areas of geophysics, including but not limited to physics of the solid earth, exploration geophysics, gravity methods, electromagnetic methods, seismology, and broader areas of applied physics and geophysics.